Japan offers travelers a truly unique and fascinating culture. Whether you're interested in the history, the technology, or the food, you will easily find something to entertain you on this trip through Japan. This itinerary begins in Tokyo and ends in Kyoto. 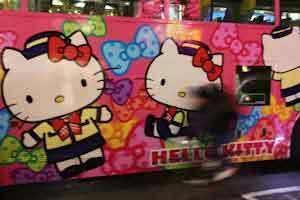 Many international travelers arrive in Tokyo so it is a great place to begin your travels. Tokyo is filled with sites, gardens, and entertainment. 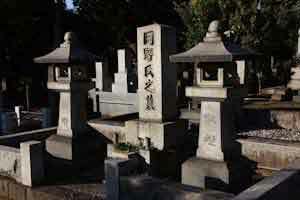 Spend at least three or four days exploring the city before moving on to Yudanaka. Yudanaka is a small spa-town that has some of the best hot springs in Japan. It's also a great place to spend some time hiking in the hills. You can also see the indigenous macaque monkeys first hand. They bath in the hot springs which is truly a fascinating sight. While you're in the area make sure you check out Shigu Heights and the Heavy Snow Mansion. Continue on to Matsumoto, which is a historic castle town. Make sure you also visit the medieval village known as Tsumago. The Matsumoto castle was founded in 1504 and is one of the best preserved in Japan. From Matsumoto continue on to Takayama. Takayama sits amid forest in a beautiful part of Japan. It has an attractive old town and is surrounded by the Hida Mountains. It's a wonderful place to relax for a couple of days. You can visit the Hida Folk Village or take short walks in the area. 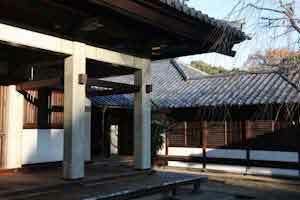 There are many temples, parks, and galleries nearby. There is also a wonderful morning market along the edge of the Miyagawa River. From Takayama travel on to Hiroshima by bullet train. You can visit the A-Bomb museum and the Peace Memorial Park. There are also day trips you can take to Miyajima's 'floating' tori of the Itsukushima-jinja Shrine. Make your way back to Kyoto. 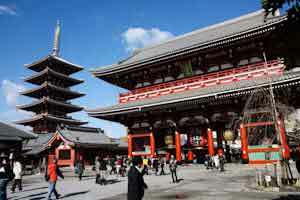 With over 2000 temples, Kyoto is worth at least several days. It is one of the most fascinating cities with it's rich Japanese culture. It has not had the level of modern development of many Japanese cities so much of its architecture is traditional Japanese. You can also enjoy a day trip from Kyoto to the ancient capital of Nara, where you can see the Todaiji Great Buddha temple, Nara Koen Park, and Kasuga Shinto shrine. In addition to a fascinating and unique culture, Japan has many outdoor activities and hikes that are beautiful. This tour lets you explore the natural scenery throughout the country. Begin your trip in Kyoto. Even if you're looking forward to getting out into the countryside, you should still allow yourself several days to enjoy Kyoto's cultural setting and impressive temples. Once you've submersed yourself fully in the culture, travel by train from Kyoto to Nagoya and then catch a local train or bus on to Nagiso or Tsumago. You can explore and hike around many of the villages. It's a beautiful setting on the Nakasendo, or Central Mountain. The Nakasendo Trail is a wonderful place for village to village trekking. It's a historic route that is lined with many quaint villages and beautiful scenery. Spend as many days in this area if you can, as there is a lot to explore. From Tsumago you can travel by public transportation to Kamikochi, passing through the city of Matsumoto. Kamikochi is in the Chubu Sangaku National Park and is perfectly situated to let you explore the North Japanese Alps. You can organize a multi-day hike in this area and return to Kamikochi before transfering to Matsumoto. In Matsumoto you can visit the Matsumoto Castle. From Matsumoto, make your way to the town of Fujiyoshida. Transfer from there to Station Five where you can begin the Mt Fuji trek. This multi-day trek is out and back and you will return to the town of Fujiyoshida. From there travel to Tokyo where you can celebrate your experience with excellent restaurants, fun bars, and plenty of sightseeing.